The new Swadro 2000 allows customers to rake between 10m to 19m with very highest productivity. 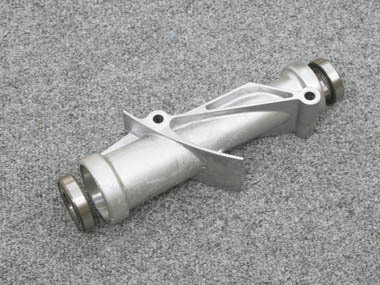 It gives you unsurpassed efficiencies, very little maintenance and quickest changeovers as well as high transport speeds, great longevity and a maximum of operator comfort. 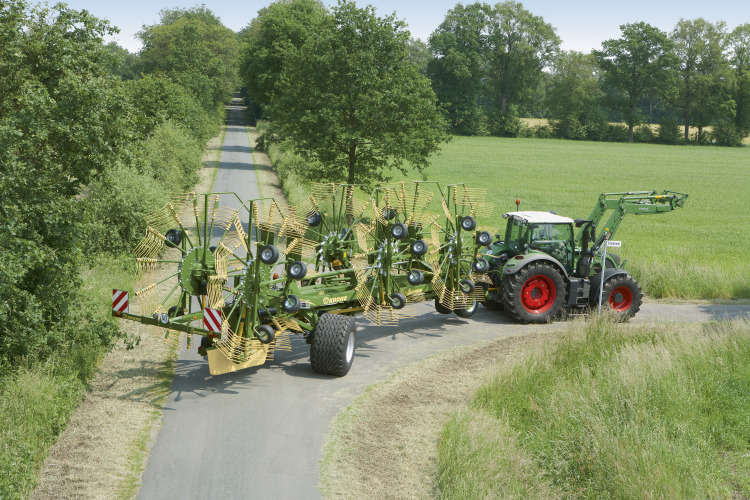 These machine can cover up to 20 ha/hour. 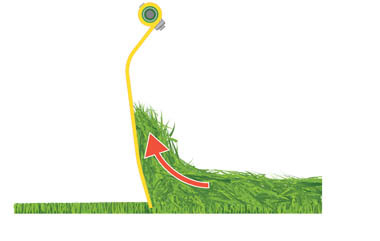 Krone tines are strong using 3 coils and 10.5mm rods. 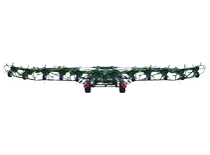 4 double tines per rotor are standard and the Swadro 2000 offers 13 tine arms per rotor on the two front and 15 tine arms on the rear rotor. Swadro 2000 offers electric rotor height adjustment from the cabin with height shown on the LCD screen. 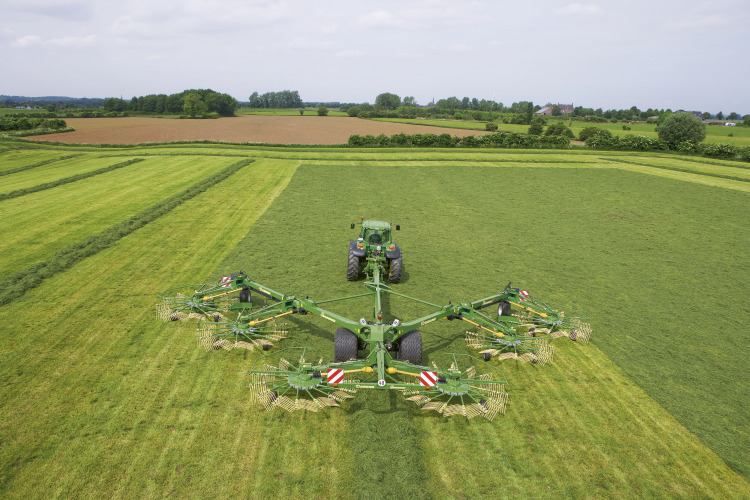 New on this Plus model is the ability to adjust one rotor followed by a push of a button so that all other three rotors adjust to the same tine height. 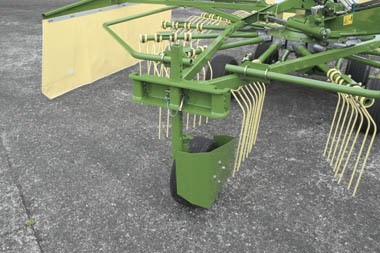 Single rotor lift out is a standard feature for all Australian rakes. 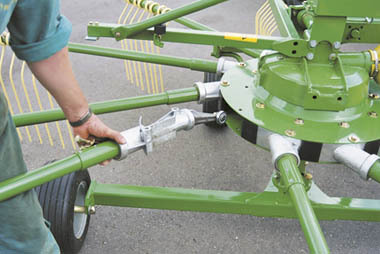 This allows you to lift either side of the rake or individual rotors even. 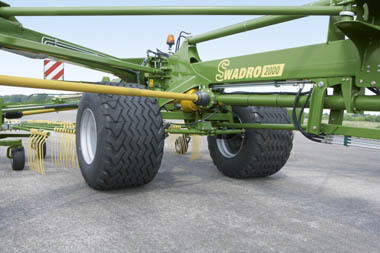 Standard for the Swadro 2000 is hydraulic width and swath width adjustment. This can happen independently from each other so that even though raking at the smallest work widths of 10m the windrow widths can still be altered wide for example. 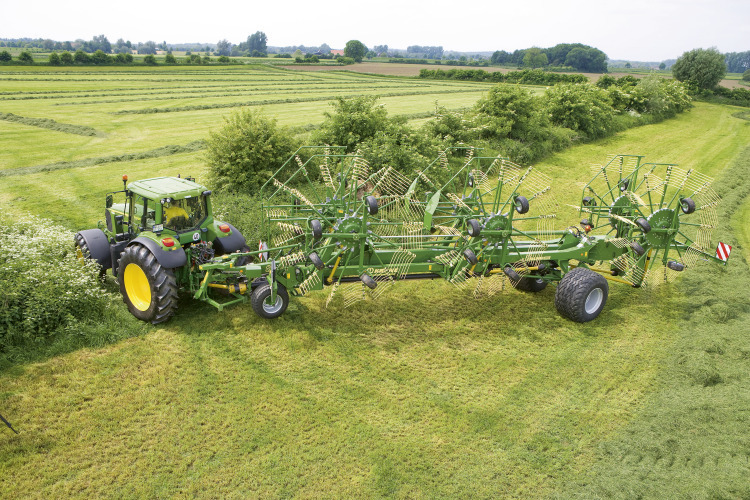 The high clearance frame and high rotor lift out allow the rakes to travel over massive windrows without disturbing them.